You want to get the most out of your French press? Read along. Here’s everything you need to know to get beans and technique right. The French press is a classic in the world of coffee. When it’s done well, it’s delicious. That being said, a lot of people struggle with getting the most out of their press. This comes down to poor choice of coffee beans – as well as lack of technique. If you feel like your French press could be at least 20 percent better, then read along here. I’ll explain which beans you should go for and how to get the most out of them. 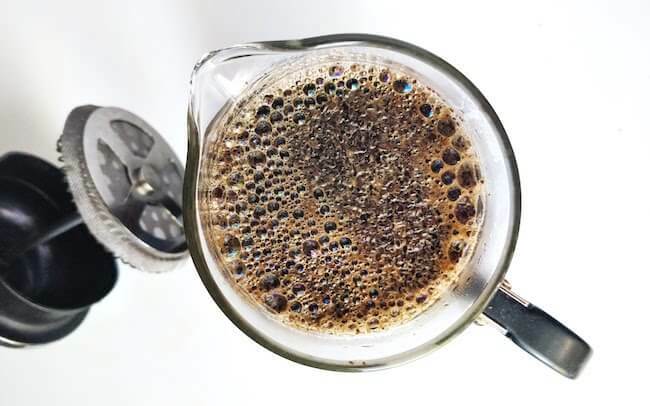 This coffee blend is likely to satisfy the typical French press drinker who wants it strong, black but with a lingering, interesting aftertaste. Intelligentsia is revered in the specialty coffee industry due to their sense of innovation and dedication. It’s a brand that is committed to quality all the way from the farm level to the roasting. The French press is deceptively simple. It’s basically just: pour, steep, press…. And you’re ready to serve. The thing most people don’t realize is that the devil lies in the detail when it comes to this super simple brewing device. The way to find the best coffee beans for the French press is part trial and error, part following general barista knowledge. First, I’d take note of my personal flavor preference. If I like light roasted and fruity, I will consider a bean from Kenya or Ethiopia. If my taste is more focused towards bold flavors, I will go for darker roasted Brazilian coffee. The rules of thumb mentioned below are just rough guides on what you can expect. Of course, every country has beans that don’t fit the stereotype. Coffee, like most food, tastes better, when it’s fresh. Coffee beans undergo some significant stages after being picked as cherries. The ones you can do something about is the roast date and grinding. 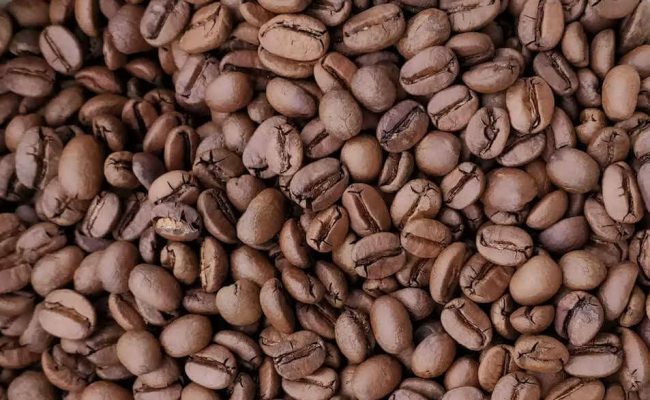 You’ll want to go for beans that have been roasted within the last three months – ideally even within the previous six weeks. This ensures that the flavors are crisp and sparkling in the cup. Also, you should grind your own beans at home. Again, this ensures that the volatile flavor compounds end in your cup. Pre-ground coffee is never as good as it could be. If you haven’t already, take a look at my suggestions of cool hand grinders right here. Soft water with low mineral content. Preferably around 80-150 TDS. The cheapest brand of bottled water in your supermarket is usually a good bet. Grind your own beans: Go medium instead of coarse. Let the brew steep for 6 minutes to ensure proper extraction. Traditionally, people have always used a coarse ground with the French press. On the surface, this makes sense since a mesh filter isn’t as thorough as a paper filter. However, when using a coarse grind size, it takes longer time for the water to extract all the flavor compounds from the bean. Personally, I prefer something closer to a medium grind, so I can be sure to get the maximum flavor out of the beans. The key when using this approach is to be very careful, when pressing the piston. Allow the slurry time to settle on the bottom, and then pour carefully. If you do use a coarse ground coffee, I urge you to wait longer than the often-quoted 4 minutes. Try to experiment. 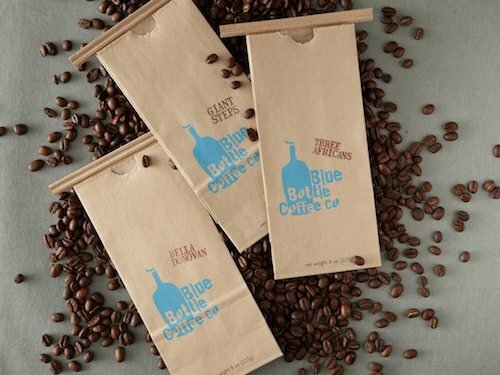 Blue Bottle is a company that is well-known for a timeless sense of quality. In general, the company delivers coffee that is vibrant and fruity. This one is no exception – it’s a blend of African coffee that offers plenty of interesting notes as well as nice rounded chocolate to balance it off. This is partly because there are a bit of natural processed Ethiopian beans in the mix. This coffee is roasted relatively dark, and you can drink it with milk. It’s an excellent gateway to the more complex African coffee. A safe, but delicious bet in the French press. This concoction seems to be made with a French press in mind. We got a medium roasted blend with plenty of Brazilian beans that provide milk chocolate and smooth body to the mix. The other part of the blend, which is a washed coffee, that changes from season to season, adds sparkle and top notes. The roaster promises stuff like lemongrass, pineapple and breakfast tea, which does sound pretty yummy. 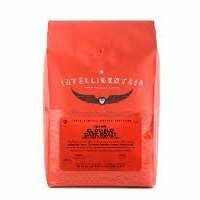 Intelligentsia is one of the most respected specialty coffee companies in the world. 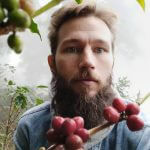 This is because the company was one of the first ones to cut out the middlemen and start traveling to the origins to buy coffee directly from the farmers. Here are some of those medium roasted Colombian beans that most French press lovers seem to have a soft spot for. Expect sweet chocolate and caramel complimented by subtle stone fruit. 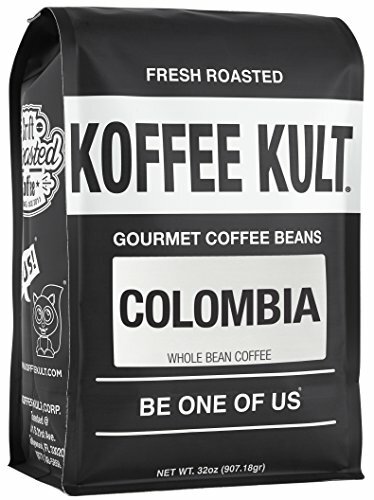 Koffee Kult, in general, gets outstanding reviews on Amazon, so I wouldn’t be worried about getting stale beans. These beans are from Huila – what is by many people considered the most exquisite coffee growing region in Colombia. 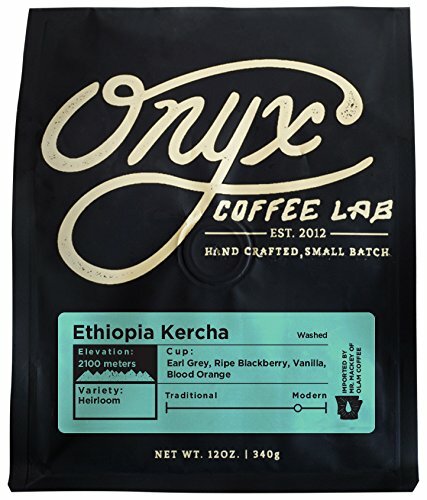 Onyx is one of the hottest coffee companies in the US at the moment. In 2017 they won both the national brewers’ cup tournament, as well as the roasting championship. This particular bean is a light roasted Ethiopian single origin coffee. If you want to try the ultimate regarding floral and fruitiness in a coffee, this is an excellent option. You got notes of jasmine, bergamot, blackberry and blood orange in this coffee. If you pick this coffee, be sure to use soft, bottled water! That way the top notes will surely be able to shine! This is where I give you some of the geeky stuff that is worth considering if you’re as serious about your coffee as I am. Light or dark: Best roast for the french press? How should your coffee be roasted? Sometimes this can be a question of almost religious significance. Many people the specialty coffee community are diehard light roast fanatics. But just because they like it, doesn’t mean that you do. In general, a lighter roast requires more of the coffee bean as well as the home barista brewing it. It’s harder to get a good result, but once you do the result is remarkable. In my opinion, lighter roasts are better for other brew methods, such as pour over. For a French press, a medium to dark roasted coffee is more foolproof. There are many degrees of darkness, though. I would stay clear of the espresso spectrum and go for something more medium. This roast is often called the full city by the coffee experts. In recent years the term single origin has become more and more common in the world of coffee. This implies that a bag of coffee hails from just one location as opposed to being a blend. What is the benefit to single origin? Well, if you’re a bit of a geek, maybe you’d want to experience the pure taste of say, coffee from the famous Yirgacheffe region in Ethiopia. There’s only one way to do that, and that is to get a bag of French press coffee beans that haven’t been blended. A blend isn’t necessarily a wrong choice, be aware that these are often created to save the coffee companies money. By making a blend they can use cheaper, lower grade coffee as a ‘filler’ and then just a bit of more exciting coffee in order to provide some flavorful top notes.